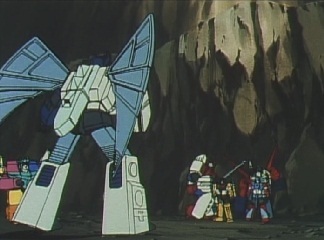 Blacker has been taken back to Shuttle Base, and his injuries are repaired. 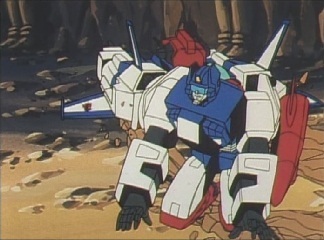 But he'll need some proper rest before going into battle again. Laster then says there is a communication coming through to them. 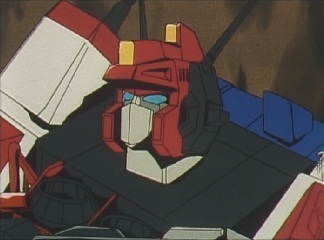 God Ginrai has contacted them, and he offers his assistance should they need it. 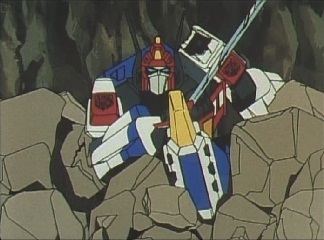 He knows that their fighting strength has taken a hit now that Blacker is out of action for a while. 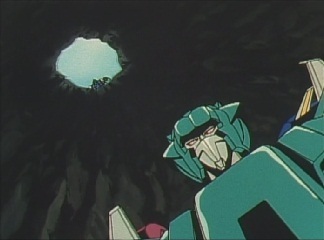 Meanwhile, inside the Thunder Arrow, Leozack is about to choose what part of the Earth the Destrons will strike at next. 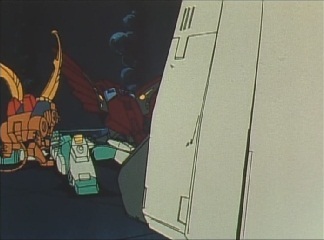 Guyhawk comes over and says he's summoned the others, as he wants to unite into Liokaiser and crush Greatshot. 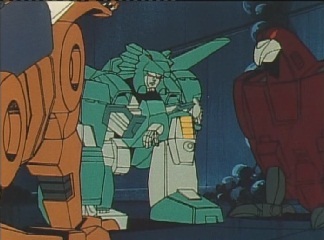 Leozack isn't interested, and tells Guyhawk not to get so worked up over some Cybertron wanderer. 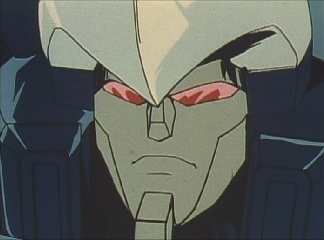 It would be in Guyhawk's best interests just to obey him. 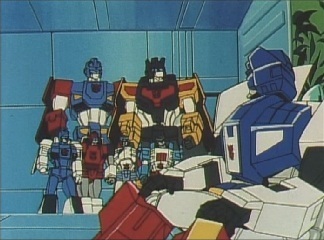 Jallguar then appears and tells Leozack that the Emperor wants to see him. 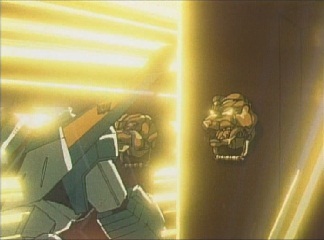 Leozack goes the chamber of Deszaras, and knocks on the door. 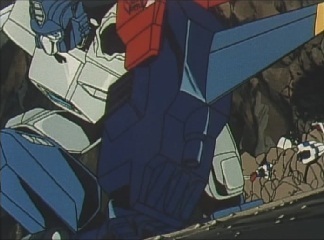 There is no response, but then suddenly Leozack gets blasted back as Deszaras' Breast Animals pin him to the ground. 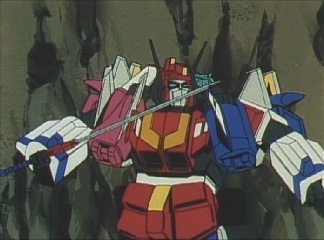 Deszaras appears, sword in hand, and puts the weapon to Leozack's head. 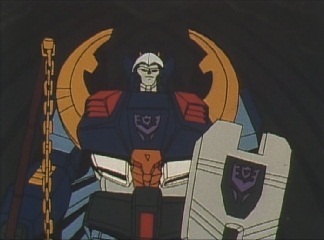 "Will you give me your devoted loyalty?" 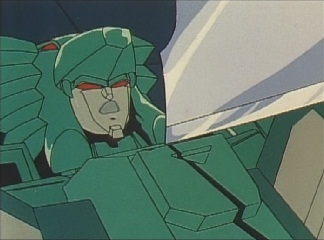 Deszaras knows about Leozack's treachery, and has overlooked it up until now. 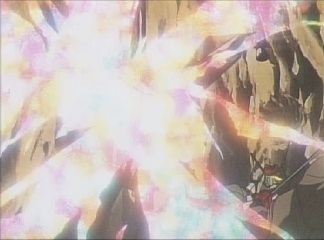 But now he wants Leozack to swear his loyalty to him, and gives him a choice: life or death. 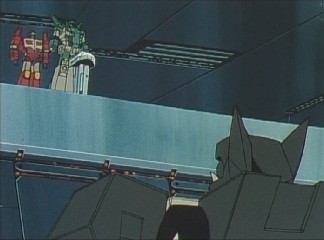 Leozack is allowed to get up, and he says that he swears his lifelong loyalty to him. 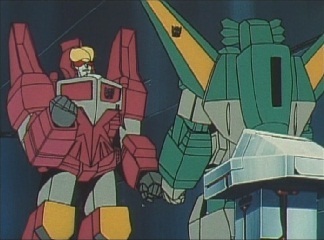 Deszaras just laughs. 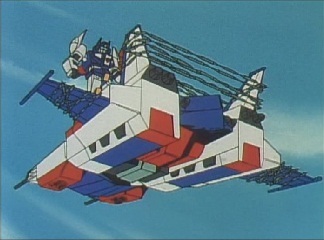 Later on, the Breastforce are sent out to attack a Cybertron base. 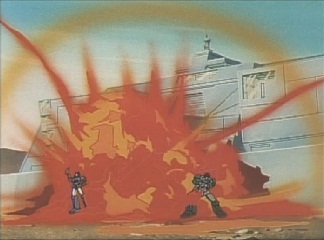 They blow the place apart, and easily take down the Cybertrons who try to defend it. 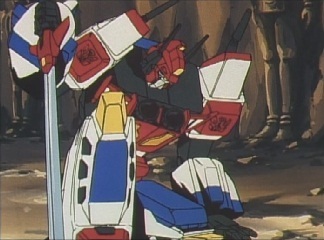 Star Saber soon receives an S.O.S. 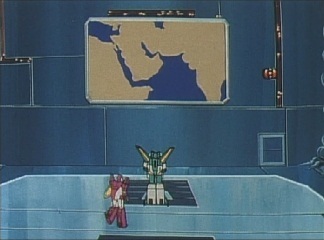 from the base, which is in Asia. 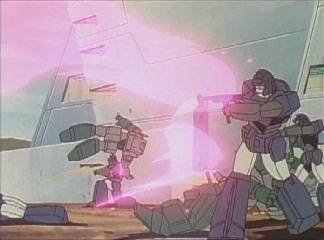 The Cybertrons find it strange that it would be attacked as in terms of energy it doesn't have any for the Destrons to steal. It could be a trap, but they have to investigate the SOS. 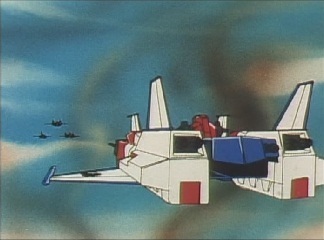 With the Multiforce out on patrol all over the world, Star Saber heads out with Galaxy Shuttle and the Rescue Team whilst Blacker and Laster are made to stay behind to guard Shuttle Base. 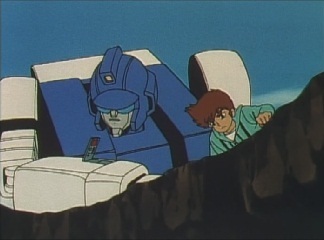 Blacker thinks something has happened, but Laster prevents him from getting up. 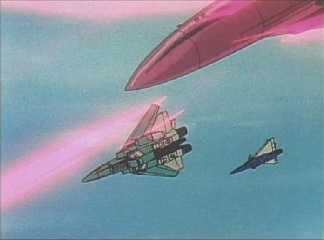 The Breastforce continue their assault, but then the Cybertrons arrive. 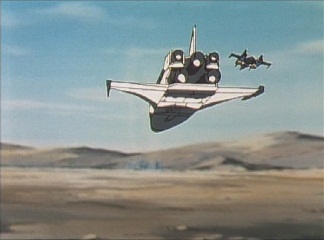 Galaxy Shuttle lands away from the base, as Star Saber heads in to challenge the Breastforce. 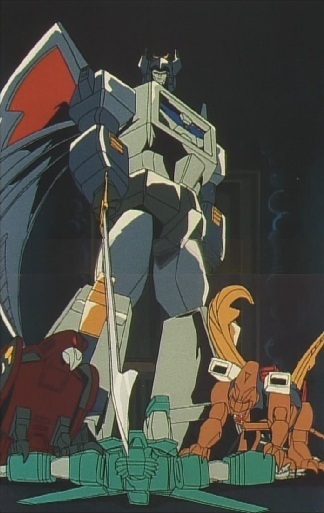 He is met in the air with Leozack, Hellbat and Guyhawk. 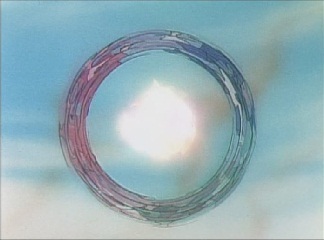 The three suddenly start to fly around in a circle together very fast, creating a blinding light. 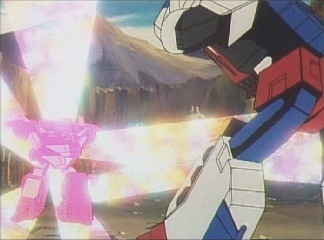 They transform and throw bombs on the distracted Star Saber, who eventually regains his vision and transforms to his smaller robot mode. 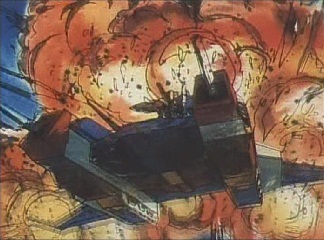 He tries to remove the bombs from the V-Star, but the Destrons start firing on him. 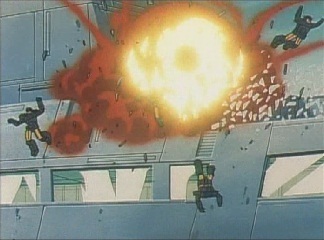 The bombs then explode. 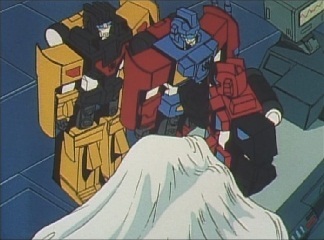 Meanwhile, the Rescue Team are tending to the base and surviving troops, but Holi and Jean are more worried about Star Saber. 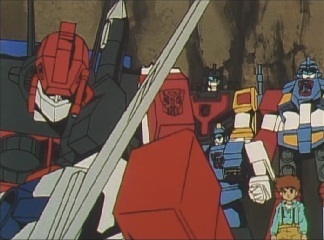 They think he'll be OK.
Star Saber crash lands into a canyon, but has no time to rest as the Breastforce are back after him. 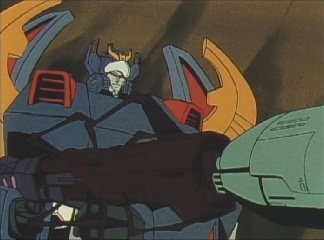 He units with the V-Star to form his larger robot mode, but the damage he has sustained already proves to be a hindrance. 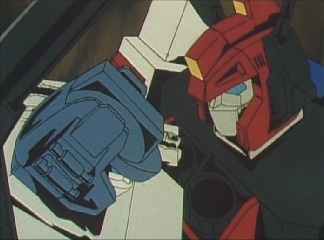 The Breastforce unite into Liokaiser, who says that today is Star Saber's last day alive. 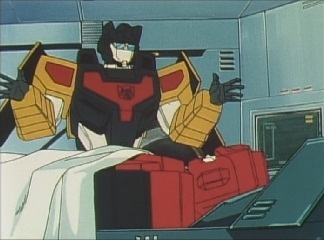 Back in Shuttle Base, Blacker finds out what has happened and how Star Saber told Braver and Laster to stay here. 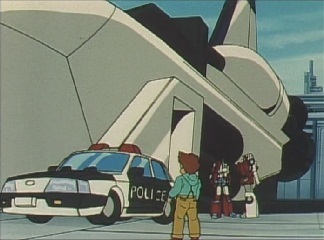 Blacker says he'll take responsibility for this, and then makes them go off to help the other Cybertrons in Asia. 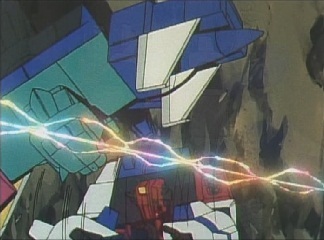 Liokaiser leads Star Saber into another part of the canyon, and then disappears in a flash of light. 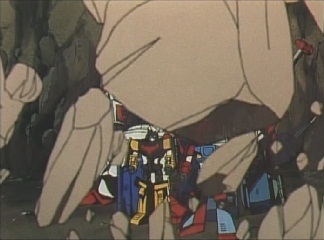 He has led Star Saber into a place full of statues which have had bombs planted inside them, and these begin to explode. 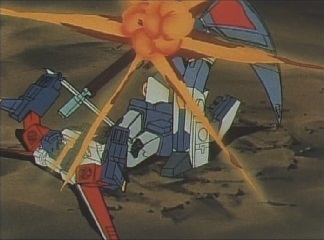 There are so many explosions that the floor cracks apart, and Star Saber falls. 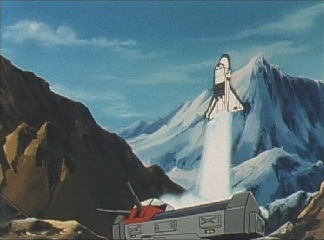 Back at the base, the wounded have been loaded onto Galaxy Shuttle. 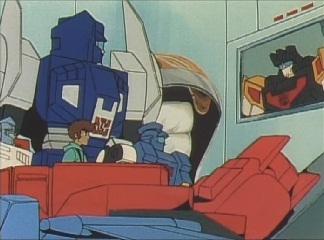 Holi tells the rest of the Rescue Team to head out in Galaxy Shuttle to the hospital, whilst he and Jean check on Star Saber. 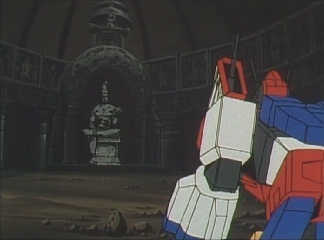 Nearby, Star Saber gets up and finds himself in a chamber with a large statue in it. 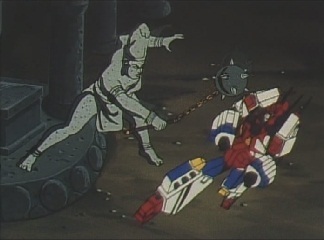 This "statue" comes to life and takes a swing at him with a mace, as it cracks apart and reveals Deszaras! 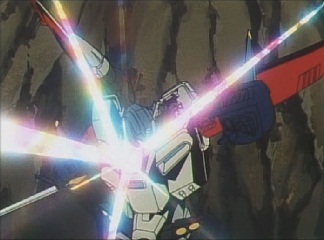 He says everything has gone as planned, and Star Saber fell into his trap. 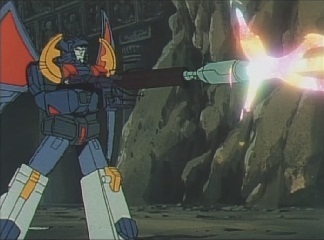 He then brings out his living-metal-destroying cannon. 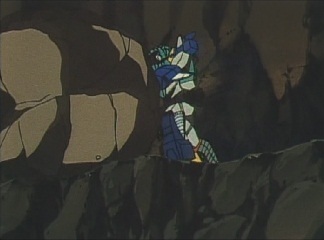 Liokaiser also appears, pushing over a boulder from above, which drops on Star Saber. 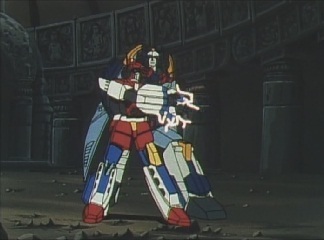 He says that with Star Saber out of the way, they will take as much of Earth's energy as they want. 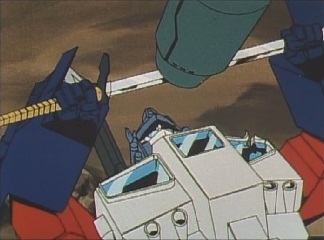 Star Saber thinks there is limit to their cowardice, but Deszaras thinks his final words are those of a sore loser. Up above, Jean and Holi arrive. Holi quickly puts a call in to Shuttle Base, but Deszaras then fires. 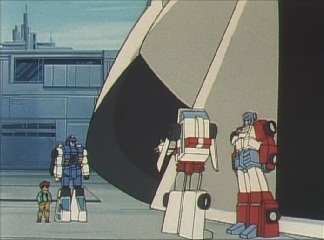 However, someone drops in and blocks off the shot. 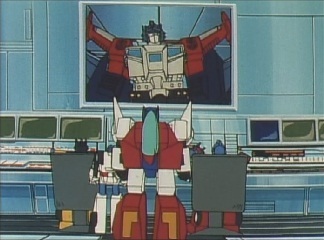 God Ginrai has arrived, and says to leave this to him. 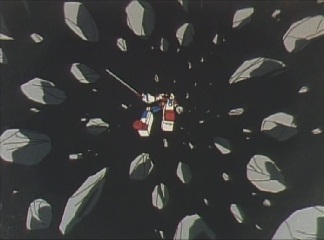 But he stumbles, as Deszaras' shot has already done some bad damage to him. 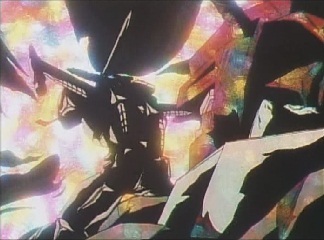 He gathers himself together and fights with Deszaras, but in his condition he is no match for him. 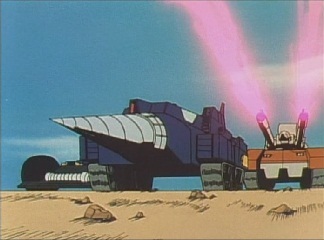 Deszaras pushes him back and uses his cannon. 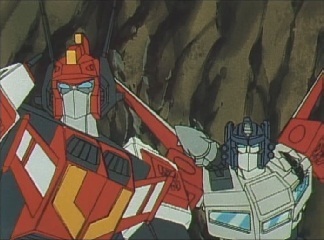 ...but Liokaiser stops him from interfering. 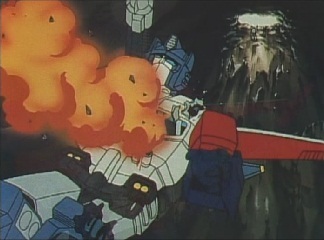 But God Ginrai surprises Deszaras with a Godcannon shot, which explodes right in his face. 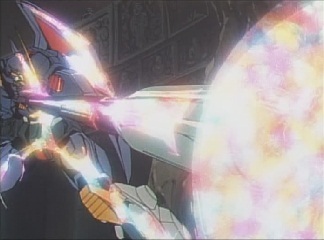 Deszaras recovers and starts shooting wildly. 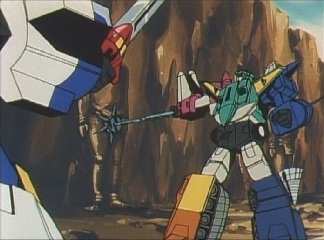 During the confusion, Star Saber manages to throw Liokaiser off him and towards Deszaras, causing him to shoot upwards. 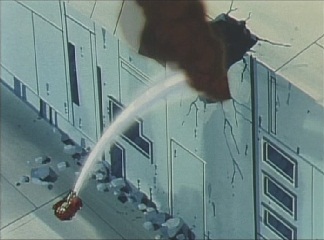 The blast hits the area where Jean and Holi are, and they almost fall down. 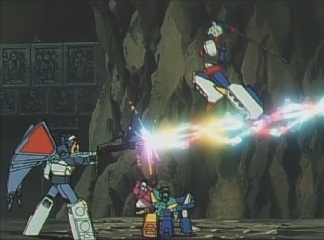 As the hold on to the edge, God Ginrai sees them, but then gets blasted again. 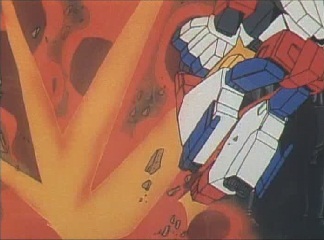 Star Saber leaps forward and strikes at Deszaras, slicing his cannon in half. 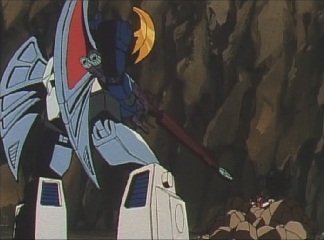 He then stabs Deszaras, making him stumble back. 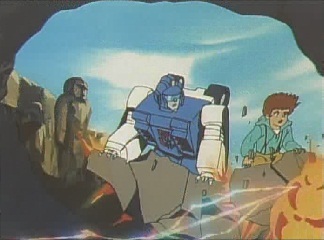 The battle has turned back into the Cybertron's favor, and Laster and Braver also then arrive. 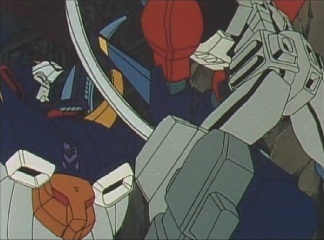 Deszaras still wants to fight, but Liokaiser convinces him not to throw his life away. 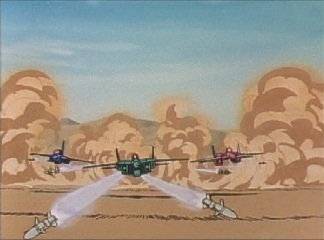 The two run away, and the passage they run through collapses behind them. 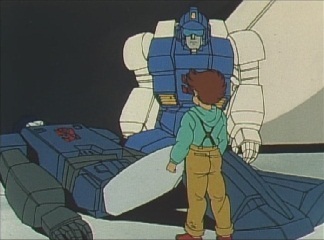 God Ginrai reveals that he received the base's SOS earlier, but then collapses. 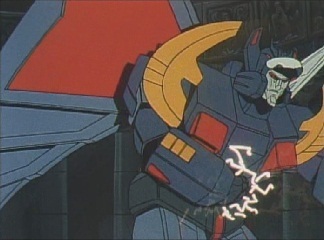 Whilst he says that he is fine and that Godmasters are immortal, he is clearly in a very bad way. 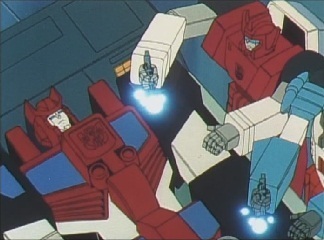 The Cybertrons now have a difficult path ahead of them.